TENS/EMS Electrodes, lead wires, Pads, Straps and more.. The Plugs above plug directly into the TENS or EMS unit. Lead #1 is approx. 1/16" diameter. The other end of the lead wire splits to two 0.08" male pin style connectors to plug into the electrodes. Lead wires are generally 36" long. 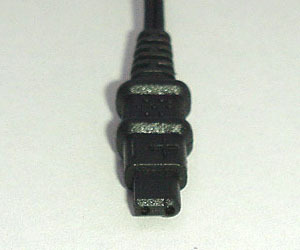 Adapters are used to convert older EMS/TENS units with pin style leads (such as Lead #1) to the new FDA compliant connector (Lead #2). If you have a unit that uses the older Lead #1 wires and want to convert to the new FDA compliant wires you will need to purchase an adapter #1 and lead wire #2.